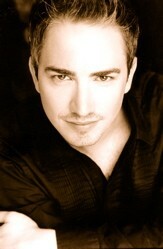 Mark Burrell (Swing, Assistant Choreographer, Dance Captain). Juilliard graduate, returns to the stage with Pippin. Stage: Radio City Music Hall's Christmas Spectacular (Assistant Choreographer), Fosse, CATS, Beauty & The Beast, and Seven Brides. Television:Producer's Movie, CBS's Late Show w/ David Letterman.